On December 9, 2018, at 5:30 a.m. sharp, runners will depart Placencia Village in southeastern Belize to compete in the End of the World Marathon (EOTW). Runners will head up the peninsula to reach a spot exactly 13.1 miles away just outside of Maya Beach before looping back for a tight race to the finish in Placencia Village. The EOTW Marathon is one of Belize’s quirkiest sporting events, first held half in jest in 2012 to commemorate the so-called “end of the world” on December 21 that was allegedly predicted by an ancient Maya calendar. 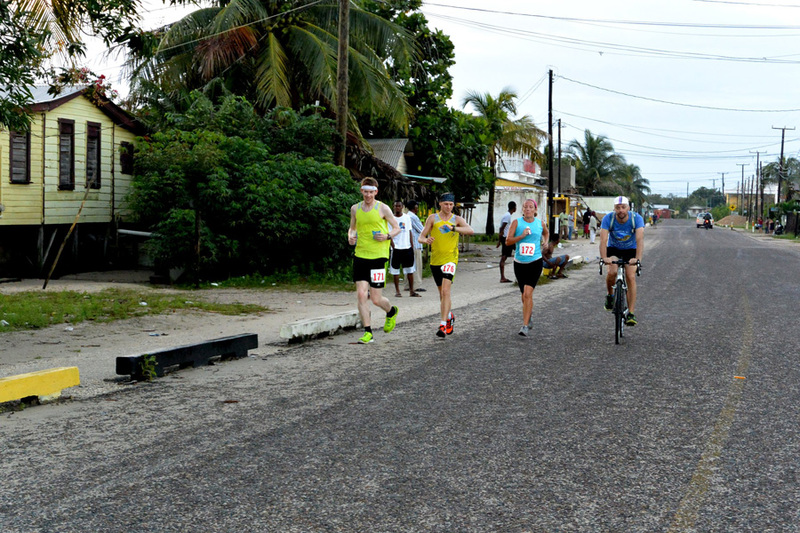 Of course, the world carried on just fine past December 21, 2012, but the EOTW Marathon was such a hit that the local community in Placencia decided to make it an annual event. This year, dozens of runners from across Belize and the rest of the world will be participating in this scenic race. After departing from Placencia Village, runners will head along the Caribbean coast up to Seine Bight and then Maya Beach, taking in some of the finest sights in Belize along the way. Runners only doing the half marathon will then join the course south of Riversdale for the second leg of the marathon. Along with the EOTW Marathon, Placencia will be hosting a two-mile fun run starting at 9:30 a.m. in Placencia Village. The award ceremony for the marathon will be at 11:30 a.m. followed by a big party at noon. All proceeds from the race will go towards providing educational scholarships for local at-risk students. There are plenty of great vantage points along the race course for the public to cheer on the racers, so don’t miss this exciting sports event! If you’d like to see the End of the World in action, you’re in luck as airlines are slashing their fares this winter. In the United States, American, Delta, Southwest, Sun Country, and United all fly to Belize. Elsewhere, Air Canada, WestJet, Aeromexico, and others also fly to Belize from destinations across North and Central America. Whether you’re coming to Placencia to cheer on the runners or want to explore the rest of the region, you can rent your vehicle from Barefoot Rentals and Services. Barefoot has cars, SUVs, golf carts, and motorbikes for rent, making it easy and affordable to explore all that Placencia has to offer. Barefoot also organizes adventure tours to all of the top attractions in the country. « Should I Rent a Golf Cart in Placencia, Belize?